2018 Opel Crossland X – Another Mokka? Europe has always been a strong market for city cars, unlike the US. Since craving for crossovers is unlikely to steam down, brands have racing toward offering as many models as they can. We already mentioned how high demand created two brackets withing the same compact segment, with increasing numbers of brands serving double offer, so same thinking has to spill over other segments eventually. Nissan played smart in 2010 when in an effort to exploit old continent inclination to small cars, offered subcompact SUV. Soon other followed and in a couple of years we have plenty of choices in that market. Interestingly all of them are sales success which includes Opel’s Mokka, but now Germans want to take it even further with new 2018 Opel Crossland X. It is the same thing as Mokka X, but slightly smaller, slightly cheaper and (again same word!) slightly less equipped. They both belong to subcompact segment, and Opel hopes that Crossland can rather rival Renault Captur or Peugeot 2008, while Mokka X can continue its fight against Nissan Juke and Mazda CX-3. 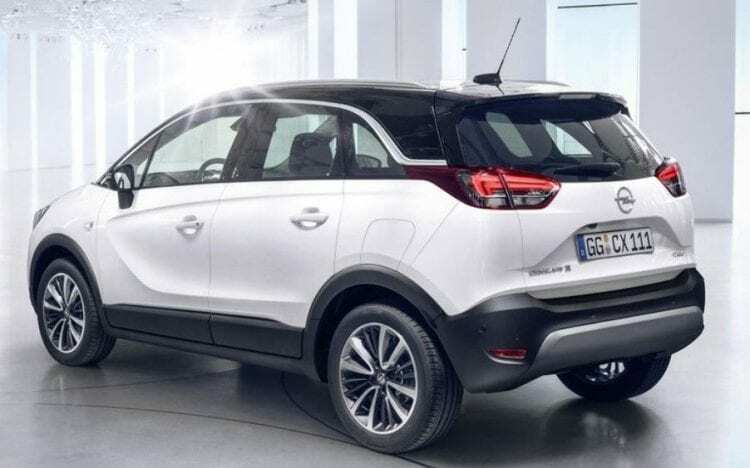 Anyway, besides stuffing another car into mini SUV segment, Opel is not going to stop there, as the more reasonable act is leading to the debut of compact crossover Grandland X in near future. So you have to lose something if you go for Crossland over Mokka. In the first place, you’ll lose 63 mm in length, 16 mm in width and 69 mm in height. On another hand, you’ll gain more city maneuverability and easier parking capabilities. Interestingly you’ll get a bigger boot with the smaller sibling, 420 liters against 357 liters, and very conveniently Crossland can slide rear bench increasing cargo to 520 liters which is an enormous figure for its class. With bigger brother, you can go AWD optionally but with smaller, you can’t, and Mokka’s interior is slightly upscaled, but really highlight that “slightly” part. As for front fascia, we have a draw since they are very similar. Crossland headlights have received few touches and are modestly reshaped, the grille is almost the same, while front bumper differentiates these two. At the rear, we have different philosophies and designs approaches. 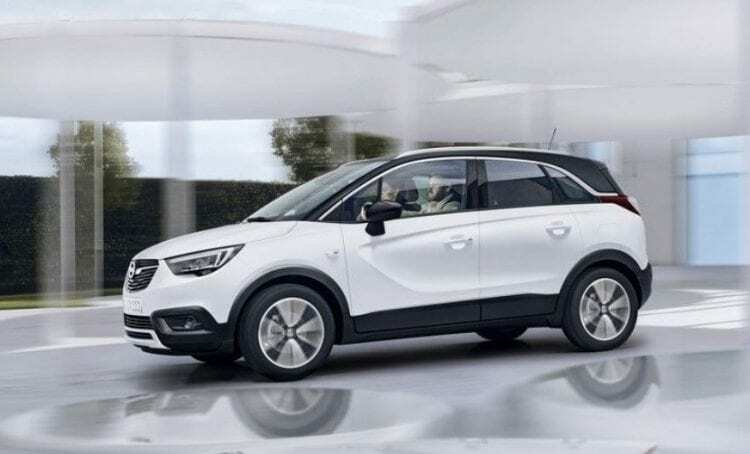 Smaller SUV has borrowed Opel Adam floating roof bordered with chrome line, emphasizing funkiness and trendiness in posh city cars, while Mokka appears more rugged and bulkier pushing SUV part of an equation to the first plan. So, overall visually we again have similar score since it depends on buyers liking. In the end, all losses from Mokka, Opel tries to compensate with fewer cash requirements. As for engine lineup, we have classic copy-paste situation, which was kind of expected. Crossland X is going to be packed with technology, some of which is not so usual for its class. We are going to mention just those fancy features such as Adaptive Forward Lighting with full LED headlights, head-up display, and the 180-degree Panoramic Rear View Camera along with Advanced Park Assist capable of parking itself autonomously as long as you are pressing pedals. Furthermore, there are Forward Collision Alert with pedestrian detection and Automatic Emergency Braking, Driver Drowsiness System, Lane Keep Assist, Speed Sign Recognition and Side Blind Spot Alert. Infotainment system features 8-inch screen, and it supports Apple CarPlay and Android Auto. 2018 Opel Crossland X is what? Basically, it is Mokka X. They are both mini SUVs. Crossland plays on the mini part of the equation, more precisely on its trendy and funky edition, while Mokka pretends to be SUV, taking care of second part. Whether that is different enough for both of them to succeed, it is too early to tell and which one is better depends only on you.